KEN YUSZKUS/Staff photo. 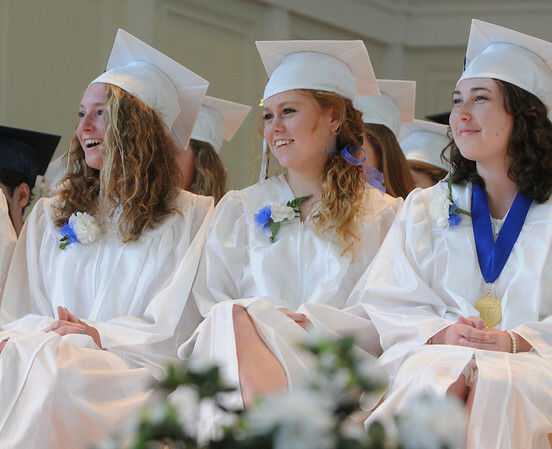 Graduates share a laugh during the salutatorian's speech during the Hamilton-Wenham graduation at Gordon College Chapel. 6/1/14.